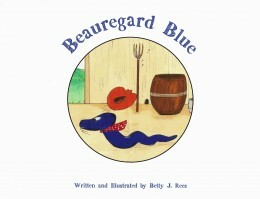 Beauregard Blue is a curious snake and wants to find the greatest snakes of all, so he sets out on a great adventure. This colorfully illustrated story has the cutest snakes you will ever see and it is told in rhyme. Betty Rees had gotten the inspiration for this story after taking her grandson to the library to pick out a book. He asked, “Grandma, how come there are no stories about snakes?” Not being able to find one, she drew the pictures and created a story for him. She chose the name Beauregard after a snake she and her cousins had caught on her uncle’s farm when she was a child. This story is a legacy to her children and their future generations. Betty J. Rees was a native of Lousiville, Ky., and resided in Bronston, Ky. for the later 30 years of her life. 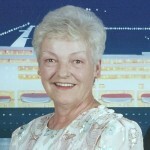 She was the mother of four children with five grandchildren and two great grandchildren. She was co-owner in three businesses with her husband and best pal, William, whom she lost in 2008. When she retired, she was encouraged and assisted by her daughter, Michele, to dust off the cobwebs of the Beauregard Blue manuscript and introduced it the public after 24 years.